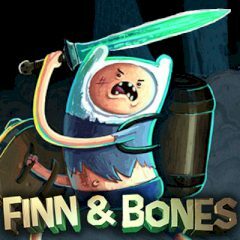 Jake has been kidnapped by angry skeletons, and Finn goes in search of him! The only thing Finn has at the beginning is an old wooden sword and shield. But you can upgrade them and turn them into formidable weapons. Good luck!